MILWAUKEE – April 8, 2016 – Associated Bank announced today that it is teaming up with Craig Counsell, manager of the Milwaukee Brewers and a veteran of 16 years as a player in Major League Baseball. Counsell partnered with Associated Bank in the development of a TV commercial that will feature a few behind the scenes surprises you might not expect. The ad will air during Brewers game broadcasts on Fox Sports Wisconsin during the first four innings of the game. In addition, Craig Counsell’s full-size cut-out is featured in the “Grand Slam Challenge” fan experience at Miller Park, which is located in the Field Level Concourse behind Section 113. Fans can have their photo taken next to Counsell’s cut-out and choose to use a selection of baseball props. 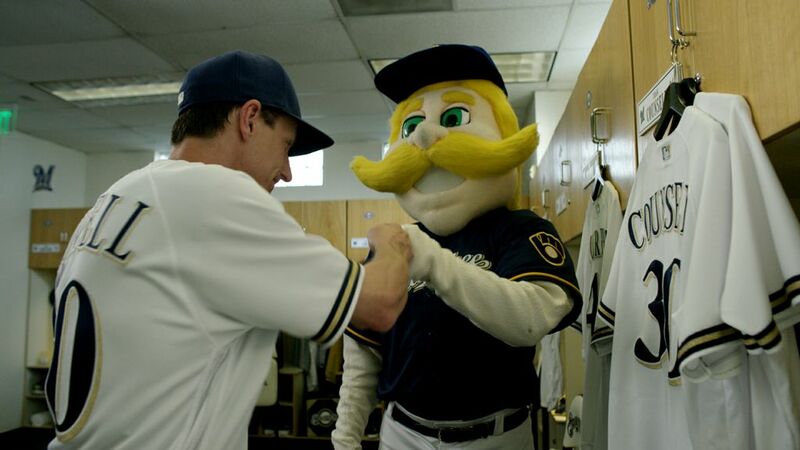 Here is a preview of the commercial with Craig Counsell. Photo caption: Associated Bank will feature a new TV ad with Craig Counsell of the Milwaukee Brewers as part of the bank’s “Bank with the Bases Loaded” marketing campaign.